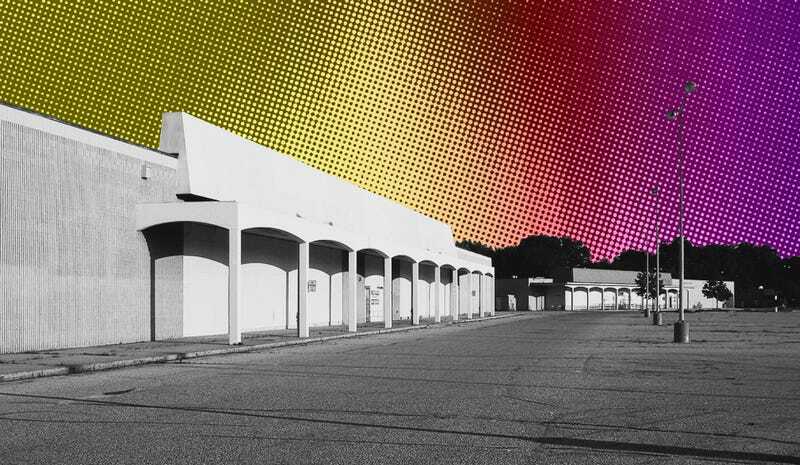 There are over a billion square feet of vacant commercial space in the US right now, most of it in the form of big box stores. This being America, we’ve come up with plenty of intelligent ways to reuse the department stores at which we can no longer afford to shop: Churches. Parks. Clinics. And now, data centers. This month, Sears announced the formation of a stand-alone company—the ominously-named Ubiquity Critical Environments LLC—to handle to conversion of thousands of Sears and KMart stores into data centers. Over the next few years, Ubiquity Critical will assess and convert more than 2,500 individual stores, basing its decision on store performance and demand. Ultimately, the structural skeletons of these stores will house servers, chillers, and generators, as well as roof-mounted antennas. In a crushingly ironic twist, the centers will target medium-sized e-commerce retailers—the very companies helping to put department stores out of business. Only properties in large data center markets such as Chicago and Dallas, on sites with the best access to power and fiber, will be suitable. Sears' properties likely will serve lower-tier users with smaller budgets. Demand is high for data storage, particularly for small and midsized companies that don't need the top-tier facilities that serve banks, airlines and other businesses that can't afford to go offline even for a moment. DLR Group and Corner Greer architects turned an abandoned mall in Joplin, MO, into a temporary high school in 2011. First image via Architectural Record, second via the architects. AECOM converted a complex that include a 1980s strip mall into a judicial center in 2010. This dying mall in Nashville was converted into a health clinic in 2009. Image via.